There are two types of wood roofing—shingles and shakes. 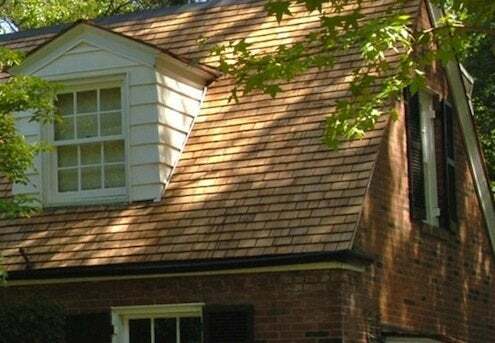 Neither boasts the practicality of a modern roofing material like asphalt shingles, but it’s difficult to deny traditional wood’s aesthetic appeal. 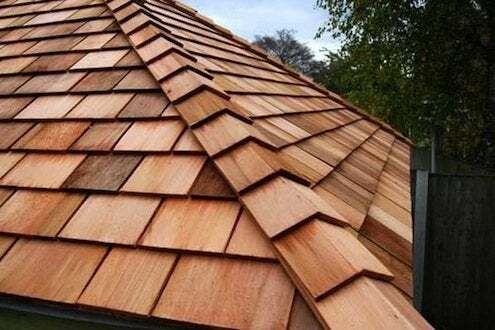 In fact, many other roofing products try to simulate look of wood shingles and shakes. Made from cedar, spruce, or treated pine, wood roofing is especially appropriate for older homes and those based upon historical styles. 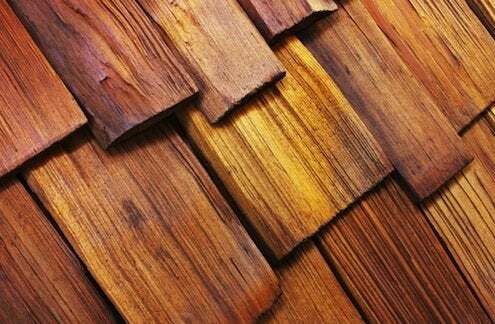 Wood shingles are machine-cut and tapered for a trim, crisp appearance. By contrast, wood shakes look more rustic, as they are hand-split on one side. Each has its own specific installation requirements, but generally speaking, wood roofing is more difficult to install than some other common roof types. Though susceptible to discoloration, wood products last about as long as asphalt (up to 30 years), plus they’re biodegradable and derived from a renewable resource. Wood shingles costs between $400 and $700 per square installed, while a shake roof runs between $600 and $900—that’s three or six times the cost of an asphalt roof! Maintenance is another consideration: Wood shingles and shakes require periodic treatments with preservatives and fungicides in order to keep from drying out, warping, cracking and being attacked by mildew and fungus.